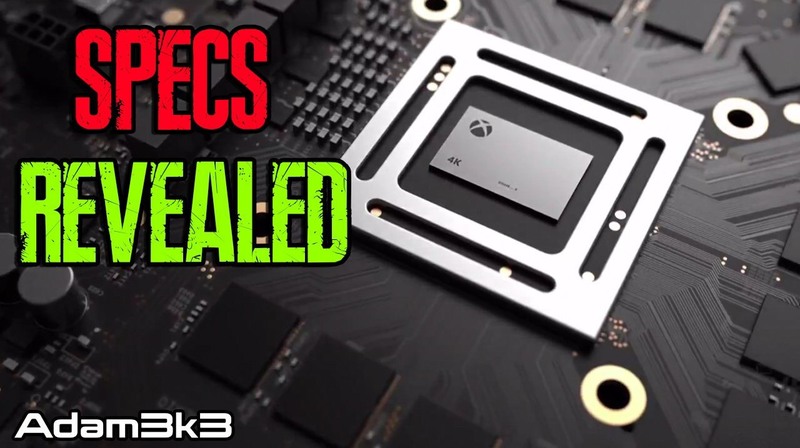 So the wait is finally over, Microsoft officially revealed Xbox Scorpio’s specs and they are impressive, BUT is it really a 4K unstoppable monster? Everything from the CPU to Ram is a noticeable improvement over the PS4 Pro and defiantly a worthy upgrade from the Original Xbox One and the S model, although I expected the Ram to be pushed toward the 16 GB mark as its kinda standard with high-end games settings on the PC, never the less the on-board 12 GB is still better than 8, at least in theory. So where exactly does the Xbox Scorpio shine? For starters, most if not all of Microsoft’s first-party titles that are already out should run allot better on the Scorpio provided Microsoft is gonna update the games to do so. Looking better is another thing. Yes, Microsoft will update the resolution and what not but it takes time and work to adjust and update games assets which may result in compatibility issues. Microsoft and most importantly 3rd parties will need to properly adjust their games to take advantage of the new hardware while maintaining compatibility with the base models. Games will not magically look and run better despite what fanboys would like you to believe, and some developers will take the easy way out either making the base version run like crap or vice versa. Optimization is the key here. Otherwise, will end up with bad ports aka PC Arkham Knight. Another area where Scorpio will dominate is the multi platform games. Games that are released on both platforms will run better on Scorpio. So if Console power is your main priority (which it shouldn’t be) then Scorpio is the only way to go, at least for a while. Now into the most hyped feature of the upcoming console. Both Microsoft and the fanboys claim that the Xbox Scorpio will deliver native 4k with 60 frames in most games which are both true and false. Yes, Microsoft teased Forza tech demo running at 60 frames in 4k but at what settings? What the fanboys fail to realize due to them simply not knowing any technical aspects of gaming is that almost any current Xbox One S or PS4 Pro game can be run at 4K 60 frames provided the graphical settings are lowered enough. Sports games are easier to run when it comes to 60 frames. First party titles will also be highly optimized to take full advantage of the system but the majority of 3rd party heavy games will most likely not be running at 60 frames at high settings. I’m speaking from a realistic point of view. A lot of developers will not fully optimize their games due to laziness or technical difficulty. The Xbox Scorpio is the next Generation console that is also backwards compatible with Xbox One and 360 despite Microsoft telling you otherwise. And with PS5 being in the shadows it remains to be seen how things turn out in the near future. With everything aside, I’m excited to see what the Scorpio can offer in term of games and features despite me mostly gaming on the PC. I love the Xbox brand and wish it nothing but success. I’m anticipating the price reveal as it’s critical that Microsoft doesn’t over price it for the average consumer rendering the machine useless to allot of budget gamers especially that the Switch is selling like hot cakes. Those were my honest thoughts on the console. Thank you for reading. Note: This is a text version. For video version, check out my YouTube channel.